College football fans today do not see the Tulane Green Wave as a storied franchise by any stretch of the imagination. Nowadays, heads turn toward the “Power Five” conference teams and, at times, fans seem to forget that other conferences even exist. While the Wave may not be as much of a force today, it once rolled over even fierce Southeastern Conference opponents on a regular basis. While a return to its heyday is quite unlikely in the near future, Tulane students should relish in the knowledge that, despite more recent records, the Green Wave was once at the top of the game. Green Wave football began playing on Nov. 18, 1893, with a loss to the Southern Athletic Club. While the scoreboard was not in Tulane’s favor in its opening game, things quickly turned around later that month in time for the Wave’s first matchup with LSU. Tulane pounced on the Tigers early and often, as the first-ever matchup of the teams ended in a 34-0 Green Wave victory. Tulane played quite inconsistently for the next seven years following the team’s inception. In 1899, the team went without a win and without scoring a single point in any of the season’s games. 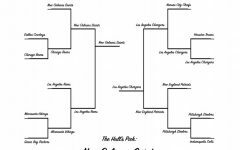 After what must have been divine intervention, however, Tulane rolled over the University of Alabama, University of Mississippi and LSU en route to a 5-0 and unscored-upon finish in 1900. From the early 1900’s to the 1920’s, the Green Wave remained a highly inconsistent team. While the team compiled more winning records than losing records during the period, it was overall not able to make much of a lasting impact. That changed in 1928. 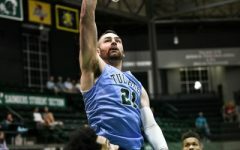 Behind coach Bernie Bierman, Tulane began the season by blowing out its first two opponents by a combined score of 116-6. This unforeseen display of pure excellence began an era of dominance for the Green Wave. Tulane went on to a 9-0 finish in 1929, 8-1 in 1930 and 6-2-1 in 1932. 1931’s 11-0 campaign was enough to send the Wave to the Rose Bowl in early 1932, where the team narrowly lost to the University of Southern California. This appearance garnished quite a bit of national attention for Tulane: it joined the SEC in the following 1933 season. The team’s successful run did not end here. The Green Wave went on to win the very first Sugar Bowl in January 1935 over Temple University. The team remained quite competitive for the remainder of the 1930’s, until it eventually began to slow post-1940, coinciding with the United States’ involvement in World War II. For the next 25 years, the team gradually began to fall in the SEC standings. 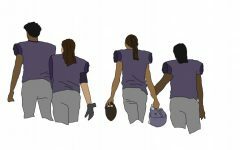 In the 1966 season, the team decided the best route was to leave the SEC and begin playing an intersectional schedule. This was at first fruitful, but once again led the team to mediocrity, where it resided for quite some time with the exception of two brief periods of bowl appearances in the ’70s. 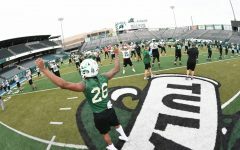 The Green Wave saw a revival of its ’30s era dominance in its third season as a member of Conference-USA. Led by record-breaking quarterback Shaun King, No. 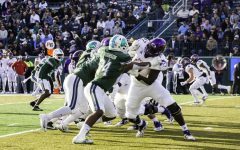 10 Tulane rolled its way to a 12-0 record and a Liberty Bowl victory over Brigham Young University. The team tallied a whopping 499 points in this season, the most in school history. From this electrifying 1998 season until today, Tulane football has returned to a period of steady decline. While this, as of now, remains the norm for Green Wave football, Father Time may someday have in store yet another revival of this dormant former powerhouse.